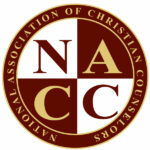 The National Association of Christian Counselors http://nacconline.org/training/offers quality training in a distance learning format that allows you to complete your training on your own time–in your home or office. This format has been designed to fit into your busy schedule. You determine your own class schedule and decide when and how you will study. Students who complete this program will receive 30 credit hours that may be applied toward a Degree in Christian Counseling from Christian Bible Institute & Seminary. Students who enroll in the Associate of Arts and the Bachelor of Arts in Christian Counseling Degree Program will receive NACC Board Certification at no additional cost. NACC Board Certification is included in the cost of tuition for the Associate of Arts and the Bachelor of Arts in Christian Counseling Degree Programs. The National Association of Christian Counselors offers a 15-Week Onsite Certified Christian Counseling Program designed to train those desiring to become a Board Certified Christian Counselor. Q. Are you a Pastor or ministry leader that would like to skillfully help troubled people and to know when someone needs more help than your church can offer? A. National Association of Christian Counselors now offers training that will help you to be more effective in helping hurting people in your congregation. Classes are held on Tuesday evenings from 7-10 pm at ASAP Counseling Services 2440 Texas Parkway, Suite 345 Missouri City, TX 77489. Our next class starts on January 24, 2017. Facilitator: Dr. Alice M. Millsap, Professor of Christian Counseling for CBIS and Director for NACC. NACC Certification is NOT to be confused with state licensing. Most states have laws governing the practice of general counseling. These laws vary from state to state. The purpose of state regulatory laws is to protect the public and ensure professionalism within the counseling profession. NACC strives to attain the same goals, and more. As Christians we know that counseling with the Word of God is the only answer for a dying world, yet at the same time, we must purpose to operate within the legal guidelines set forth by state regulations. 1. That the counseling service is provided through a legally organized/operated local church or a nationally recognized denomination. 2. That the counselor is trained and commissioned by the legally recognized organization.